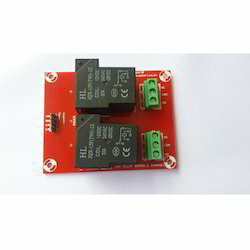 The 4-Channel Relay Module is a full-height module that provides four relay outputs. Any number of 4-Channel Relay Modules can be placed in any of the slots to the right of the Rack Interface Module. Each output of the 4- Channel Relay Module can be independently programmed to perform needed voting logic. Each relay utilized on the 4-Channel Relay Module includes "Alarm Drive Logic". The Alarm Drive Logic is programmed using AND and OR logic, and can utilize alarming inputs (alerts and dangers) from any monitor channel or any combination of monitor channels in the rack. This Alarm Drive Logic is programmed using the 3500 Rack Configuration Software to meet the specific needs of the application. Normally Closed (NC), Normally Open (NO), and Common (C) relay connections are provided on terminal blocks. When the relay is not energized (digital 0) there is continuity between NC and C. When the relay is energized (digital 1) there is continuity between NO and C.
Single Board 10 to 16 VDC @ 200 mA max. 4 Boards 12 to 16 VDC @ 800 mA max. 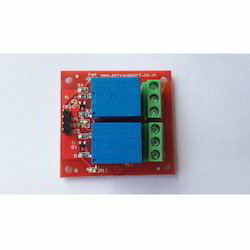 Relay board module is used for controlling higher current loads from your microcontroller development board, PC parallel port or Arduino Uno. 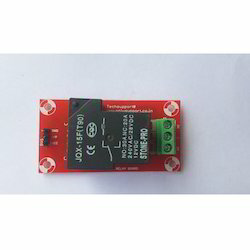 This board has one (1) on-board relay which can switch up to 7Amps. Relays terminals (C, NC, NO) are accessible through screw terminals which makes wiring up the board very easy. The relay is safely driven by transistor BC547 hence your input device, such as Arduino, is protected from relay circuit. There is free wheeling diode which will further protect your microcontroller from relay kick back. 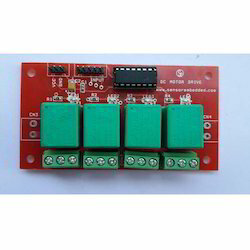 This is a 12V 1-Channel Relay interface board which can be controlled directly by a wide range of microcontrollers such as Arduino, AVR, PIC, ARM, 8051 and so on. The Two Relay Module is a radio frequency (RF) device capable of controlling up to 5 A of general-purpose load based on input from Pico® controls and Radio Powr Savr™ occupancy and daylight sensors. An optional, low-voltage dry contact closure output is available to communicate occupancy status to 3rd-party systems such as HVAC controllers. Communication with RF input devices, such as Pico® controls and Radio Powr Savr™ sensors, is accomplished using Lutron Clear Connect™ RF Technology. integration to building management systems, HVAC, VAV, etc. Provides both normally open, normally closed dry contacts. If power is interrupted, connected loads will return to the previous level prior to interruption. Looking for Relay Boards ?